Luang Prabang is regarded as the picturesque town in northern Laos. 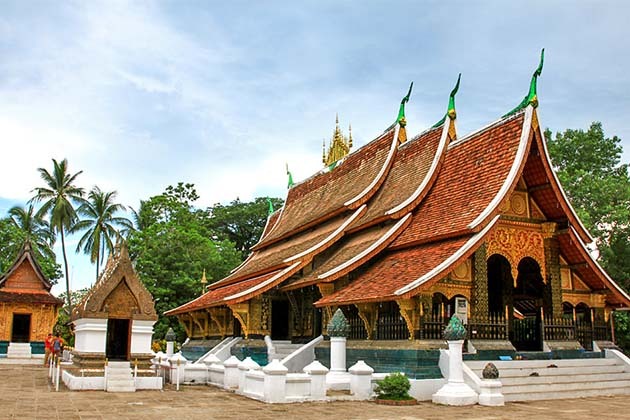 In your Luang Prabang Vacation, besides exploring the center of town, some highlight spots adjacent in Luang Prabang also attract many visitors who come to the old town. There are 58 small villages with 56000 residents, built on a peninsula formed by the Mekong and Nam Khan Rivers. So, make a Luang Prabang village tour is easy for you to understand more about local life. 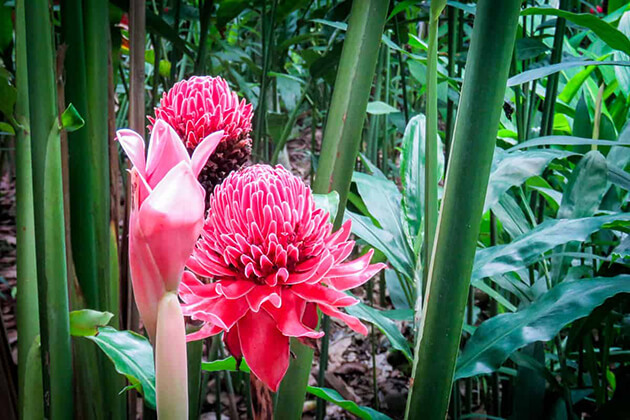 With an ancient charm left relatively untouched by outside influence, it’s easy to lose yourself walking or cycling through these five beautiful spots in Luang Prabang. 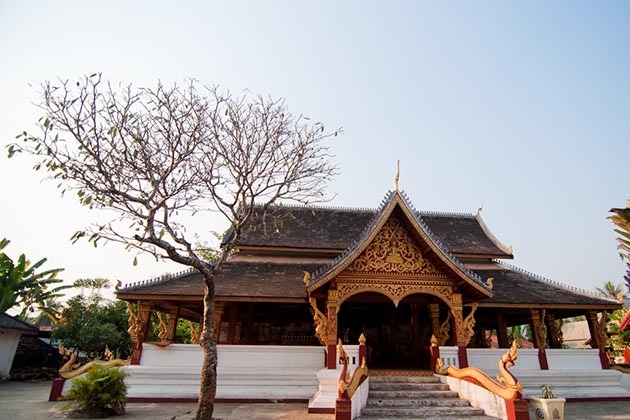 Belongs to the peninsula, Wat Xiengthong is the hipster heart of Luang Prabang. That’s an ideal place to watch the Mekong swirl with the Nam Khan. Enjoy the scene and sip a cup of coffee which make yourself refresh and peace. At Wat Xieng Thong, you will also to take a picture on the unique bridge – bamboo bridge. Which constructed during dry season if you’d like to walk across the Nam Khan like a local. 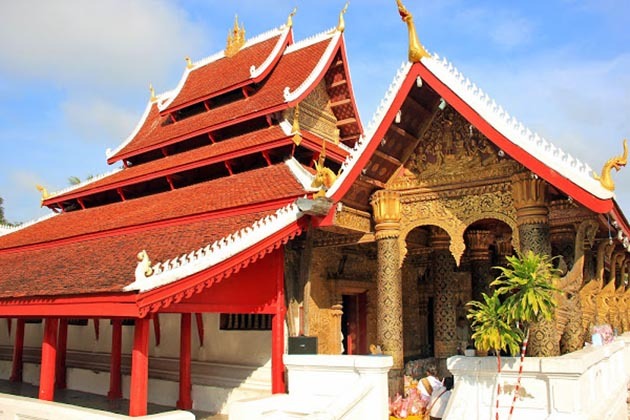 It can’t deny that Wat Xiengthong is one of the most splendid temples in Laos and not to be missed. Wat Sen where the place located at the center of the peninsula. For anyone who has a passion for cooking, here the good idea for you. Come in for a scrumptious authentic Lao meal in the restaurant or take part in a class to make your feast become more colorful. On the Mekong River side of Wat Sene, sip a cup of coffee and workspace in town. Beyond seeing the traditional architecture, attending a traditional Lao show told in English at the Garavak Storytelling Theater, which is shown every night. 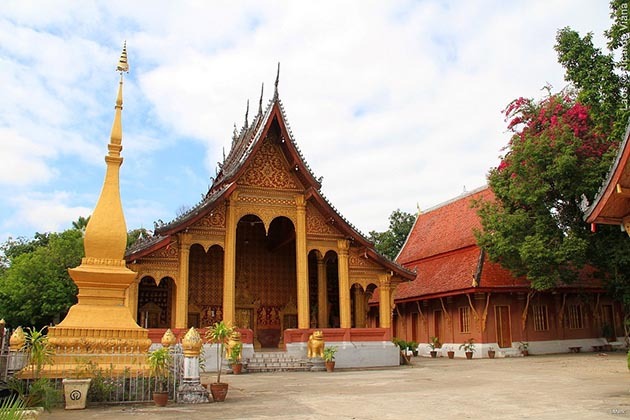 Neighboring the Royal Palace and museum, Wat Mai appears as the picturesque, which is also regarded as the highlight in Luang Prabang. Drop in Wat Mai, the tourists have a chance to visit the temple, gardens, royal car collection and learn a bit about the history of the former royal capital. Wake up at dawn, you can witness Tak Bat when the Buddhist monks walk through the streets collecting alms from the faithful. If you enjoy the peace and quiet, climbing the steps to Mount Phousi, stunning views of the city. Perhaps, it gets crowded at sunset. Don’t miss the night market, one of the most impressive in Laos street food and souvenirs every evening along the Sisavangvong Road. Borders the Nam Khan River and wraps around the southern side of Mount Phousi, Wat Aham and Wat Visounnarath exist make brighten up the adjacent corner of Luang Prabang. Here, you can see the cultural and the center which mingle together. 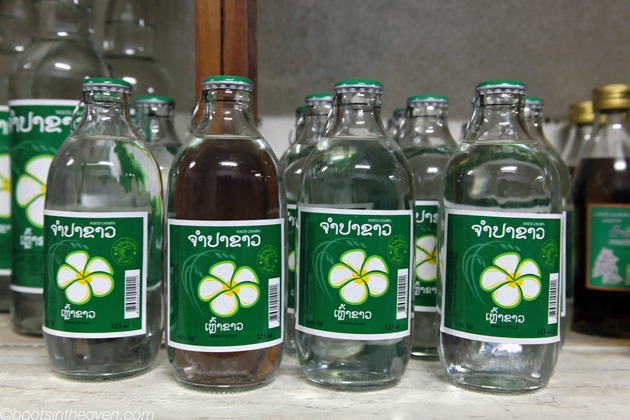 You also can attend the morning yoga class on the Nam Khan and then drink a beer near the river. Strolling through many shops where the travelers can buy the gifts, textiles, and the products were made by the locals. 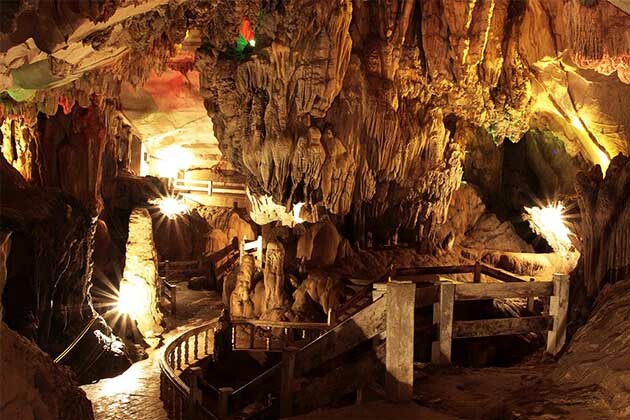 Halfway up the mountain, the visitors can drop in the traditional Arts and Ethnology Centre which features displays on Laos’minority ethnic groups and their dress, traditions, and way of life to understand more about their life. Wat Manorom which surrounded by many luxury hotels. This place is worth for the people who like to walk through even if you’re not staying at one of these places. The travelers have the chance to visit the UXO Laos visitor center to learn more about the war and the efforts to remove bombs that still litter the countryside. If you fancy Mexican food, stop at the restaurant, enjoy the Mexican food on the land of Laos.